How to choose face cleansers for different skin types? Cleansing has slowly but surely become a crucial step in each one’s skincare routine. To combat breakouts, dull skin and clogged pores, cleansing is essential. From foaming cleansers to oils, water-based, creams and gel cleansers, there are a variety of cleansing textures available on the shelf so make sure you are opting for one wisely. According to the IANS report, Aswad Ahmad, the representative expert at Eau Thermale Avène, breaks it down on how to choose the best type of cleanser for each skin type. Gel cleansers are recommended for combination, oily and acne-prone skin. The consistency of a gel cleanser is clear and thick and helps in getting a deep cleanse. It decongests clogged pores, removes excess oils without stripping the skin. Ingredients that should be looked out for in a gel cleanser are Alpha Hydroxy Acids, Glycolic Acid, and Witchhazel. 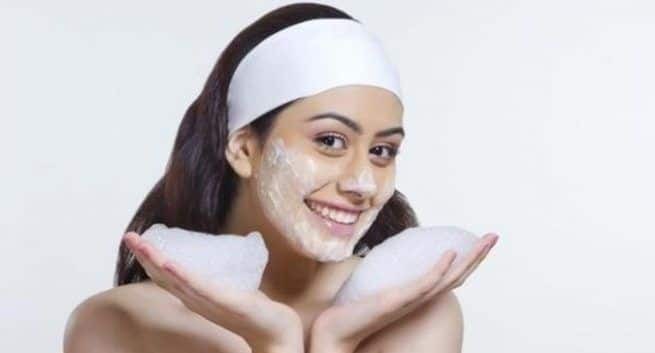 A gel cleanser is mostly recommended for teenagers to remove the excess oil from their skin and to prevent acne as their skin is more susceptible to such symptoms. Milky lotion textured cleansers are suitable for dry, sensitive and ageing skin. They are thick and have a dense formula that not only helps in a thorough cleanse but also moisturizes the skin. While purchasing a lotion-based cleanser, make sure to check the ingredients and select products that say non-comedogenic and non-acnegenic, to avoid pore blockage. For oily and/or acne-prone skin, a foam textured cleanser should be opted for. A foam cleanser has the tendency to strip the skin, so one must ensure that they moisturize their skin post the cleansing routine is complete. A foam based cleanser should contain glutamic acid that regulates the production of sebum. A French creation, Micellar water is the lightest texture available for cleansing. This formula is ideal for all skin types and a great alternative to traditional cleansers. The formula contains micelles that are small particles which trap impurities and soaks in any residue and grease from the skin. The Micellar water doesn’t contain any harsh chemicals, hydrates the skin and also acts as a toner.